Help out favorite characters banish zombies from their backyard by using powerful weapons. 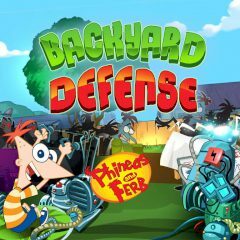 Phineas and Ferb dislike zombies so much, so they come up with extremely funny ways of killing them. Use powerful weapons to kill them all!